Sundari Chowk and Keshar narayan Chowk, The Sundari Chowk holds in its center a masterpiece of stone architecture. The Royal Bath called Tushahity. It was listed in the UNESCO world Heritage Monument list in 1979. The drive will take approxmate 7 hours. by air it will take only 45 minate. at the afternoon visit lake side and ready for trek for next day. over night at hotel in pokhara. Tadapani where we stay in a teahouse with stunning views of Annapurna South, Machapuchare and down the valley to the horizon. Trail continues down hill through forest for 4hours to reaching Ghandruk village. This is the village of Gurungs, where the path of annapurna sanctuary branches off. Walking down hill through stone path for one hour and haif hour you will reach to Modi khola. From here trail continues through bank of river to reach to Nyapul. From here by private transport to pokhara. Day09: Sight seeing around pokhara valley with English speaking guide and by private transport. 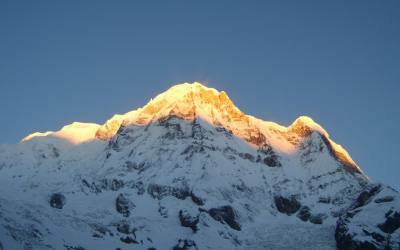 snow-capped mountain, Fishtail, is less then 30 kilometers from Pokhara. Pokhara’s numerous lakes offer fishing, boating and swimming. Another of Pokhara’s natural wonders that unfailingly interests visitors is the Seti river. Flowing right through the city, this river runs completely underground at places. Amazingly, at certain points the river appears hardly two meters wide. But its depth is over 20 meters! Mahendra Pul, a small bridge near the old MissionHospital, provides a perfect view of the rivers’s dreadful rush and the deep gorge made by its powerful flow. After breakfast take a drive to Bandipur Hill resort. which is 75 k.m. from Pokhara. the drive will take around 3 hrs. A tiny village with spectacular view of mountains, Bandipur is located in Tanahu district about 140KM from Kathmandu. This is the best hill station to view mount everest, Bandipur’s hallmark is its beautiful scenery. At the eastern part of the town is the pagoda roofed Bindabashini temple which houses goddess Durga, Bandipur’s guardian deity. The rich wooden carvings and detailed brass-work that adorn the temple are replicas of those found in the many old pagoda structures of the kathmandu valley. The other important temples and shrines in the vicinity include the Mahalaxmi temple with its exquisite woodwork and the Khadga Devi temple which comes alive once a year during the Dashain festival. Day 13: Drive back to Kathmandu. The journey will take 5 to 6 hours. 09:00 - Departure for Kathmandu and return back to same hotel. The ancient ritual dances and festivals are still observed by the locals with the same fervour and ehthusiasm as their ancestors did centuries ago. King Yaksha Malla (15th ventury) heavily fortified this city. 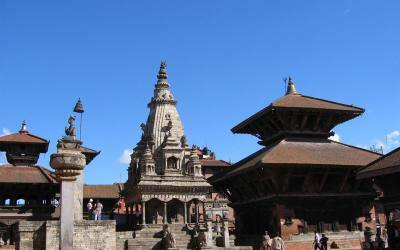 Bhaktapur has its gem in Durbar Squareand Changu Narayan temple-- a World Heritage site listed by the UNESCO. Strewn with unique palaces, temples and monasteries best admired for their exquisite artworks in wood, metal and stone, the palatial enclave has bewitched pilgrims and travelers for centuries.Yet, they are not all though. 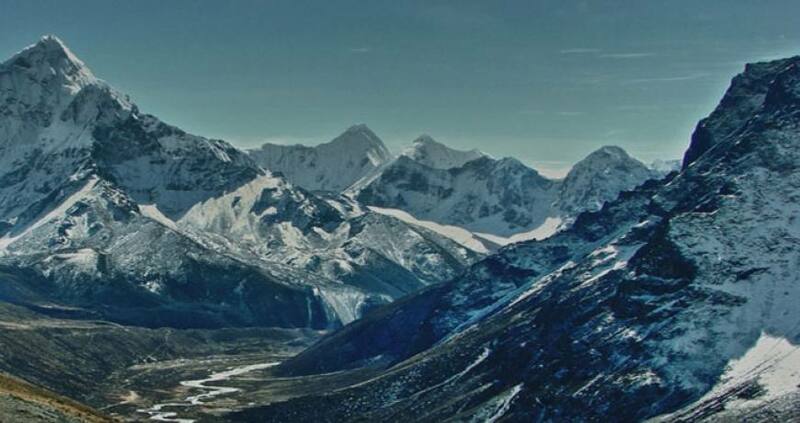 Stretching all along the township, the panoramic Himalaya levitates in the skyline as if to keep vigilance on the city’senviable beauty and splendor.It grows from a collection of villages strung along the old trade route between India and Tibet. Every additional night hotel in kathmandu or in pokhara will cost US$ 30.00 for double room with bed and breakfast and US$ 25.00 for single room. 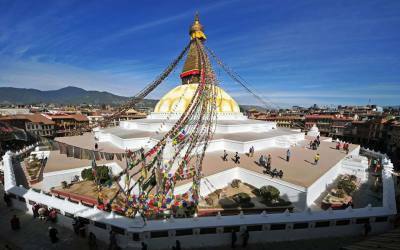 2 full day sight seeing tour around kathmandu valley with English speaking guide. 1day sight seeing tour around pokhara valley with English speaking guide. Trekking map for Annapurna region.